The world of EMS is filled with dedicated and selfless people, among which is Chelle Cordero. She is an author and EMT who spent over 27 years volunteering for her local ambulance corps. Most of her family, including her husband, son, daughter and even daughter-in-law, have also volunteered as EMS providers. 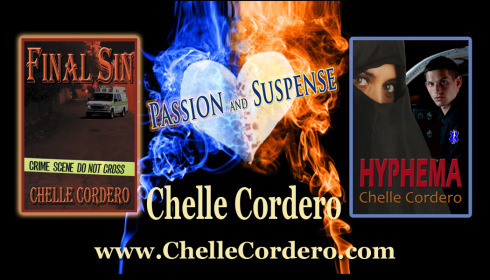 Cordero has written two EMS-based suspense novels as well as a factual guide for the layman, “Until the Ambulance Arrives.” She’s is extremely proud of her family’s involvement in EMS and has “translated” this pride into her writing. For more information, visit her website http://chellecordero.com/. ‹ Karma Visited by Chelle Cordero Book Tour!